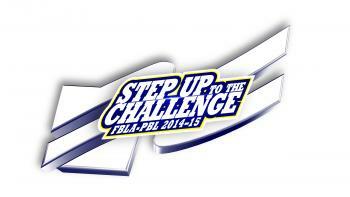 Our theme for the 2014-15 year is "Step Up to the Challenge". Future Business Leaders of America is an association with a quarter million students preparing for careers in business and business-related fields. Dues to join the Mt. Judea Chapter of FBLA are $10. Weekly meetings will be held during the lunch break every Thursday. Previous activities included Game Nights, Christmas Parties and Halloween Parties. The Business Achievement Awards are an aggressive, self-directed, results-based business and leadership program designed to compliment academics while accelerating a student's leadership skills. The awards focus on the words surrounding the FBLA Crest: Service, Education, and Progress. There is a heavy emphasis on education with integrated classroom projects. The BAA has four distinct award levels-Future, Business, Leader, and America. In addition to receiving their America level pin at the National Leadership Conference, all recipients of this award who attend the NLC will receive America ribbons and certificates of recognition. Competitive events fall into three categories: individual, team, and chapter. They cover a broad range of business and career-related areas.